The various devices sold by Apple, including Mac computers, iPads and iPhones, all have ways that they can link with one another. This typically occurs with the help of an iCloud account that can be configured on each device, allowing you to share information more efficiently. One other function of thisÂ interconnection is the ability to start working on something on one device, then pass it off to another one. This feature is called “Handoff”, and can be very useful in certain situations. But it can also cause some problems, and some troubleshooting guides will suggest that you turn it off if you are experiencing weird behavior on your iPhone. 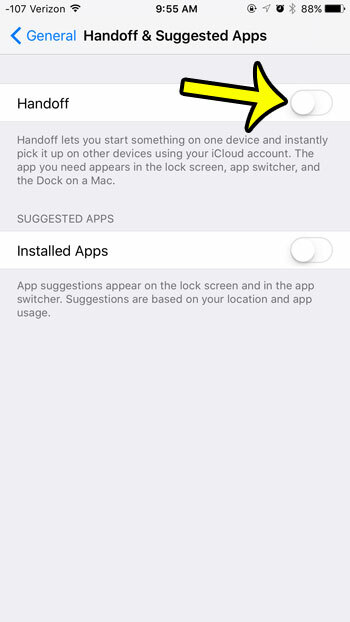 Our guide below will show you where to find the Handoff setting on your iPhone 6 so that you can disable it. 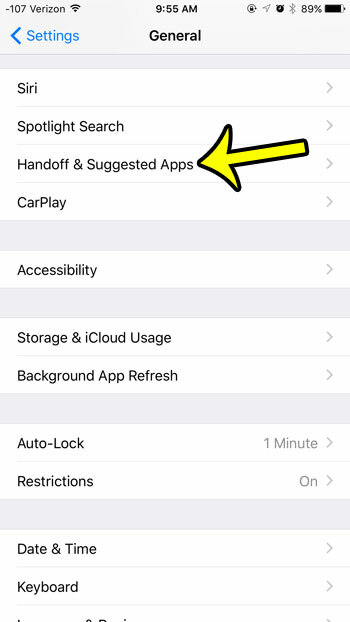 Tap the Handoff & Suggested Apps option. Tap the button to the right of Handoff. 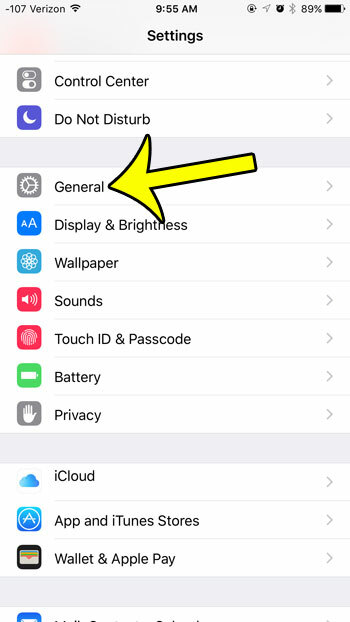 The button will be in the left position, and will not have any shading around it when the Handoff feature has been disabled. You may notice that there is another setting on this menu, for an option called Installed AppsÂ that is listed in the Suggested Apps section. 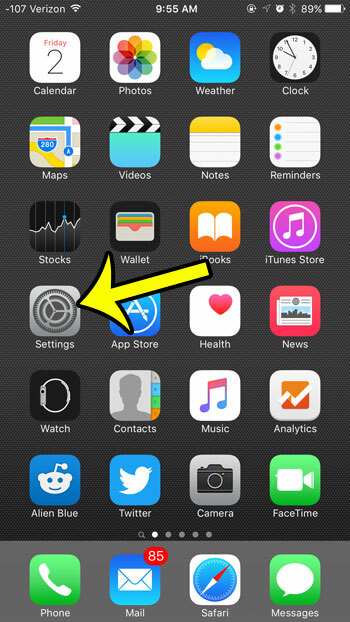 This is a feature that causes app icons to display on your lock screen, or in the app switcher. These suggestions are given based on your current geographic location and the apps that you have previously been using. For example, if you are walking around and happen to pass a bank for which you have an app installed, then that app might appear on your lock screen. If you would prefer that this not occur, then you can turn off this option while you are here as well. The iPhone has a great clock app that features a useful Alarm Clock function. If you sleep with your iPhone near your bed, then it can be a beneficial to use your iPhone’s alarm instead of one on a physical/dedicated alarm clock. Learn how to use the Alarm Clock on your iPhone to start taking advantage of it.